◆No need to connect anything to the console or TV/ receiver. A microphone is required for chat. ◆Enables most wired stereo gaming headsets to work with Xbox One*. Easily adjust chat audio without taking your hands off the controller. ◆Controls include volume up/down, microphone mute, and game/chat balance. ◆Install Process:Use the adapter into the handle, and the earphone into the 3.5mm port. ◆Elegant appearance, fine workmanship, precise dimension. ◆Easy to install and use, dirtproof and wear resistant. 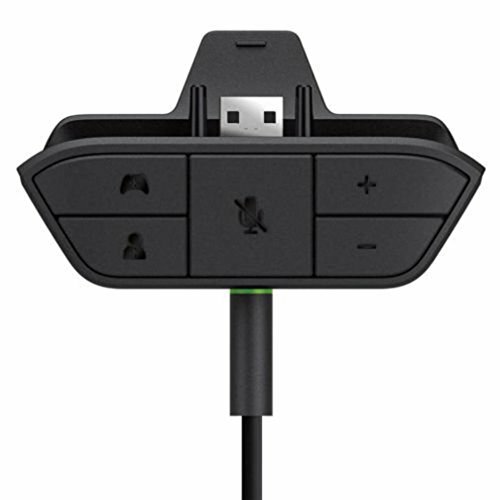 Most stereo gaming headsets with a 3.5mm audio jack (that use the CTIA plug standard) can get chat and stereo game audio directly through the Xbox One. To make synchronous game control and stereo sound become possible.